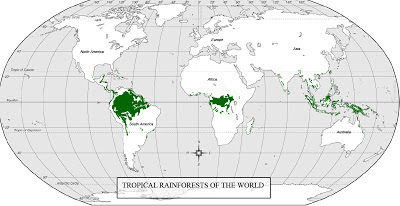 A tropical rainforest is an ecosystem type that occurs roughly within the equatorial zone between the Tropic of Cancer and Tropic of Capricorn (roughly within 23.5 degrees north or south of the equator). This ecosystem experiences high average temperatures and a significant amount of rainfall. An ecosystem is a system existing in a particular region, at a variety of scales, where organisms exist in communities and interact with the abiotic environment around them. The rainforests are home to more worldwide species than all other biomes added together. 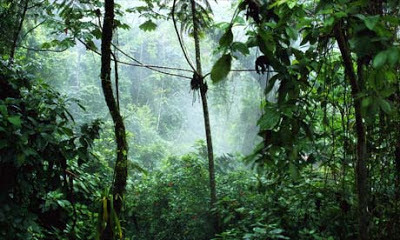 About 80 percent of the world's known biodiversity could be found in forests. 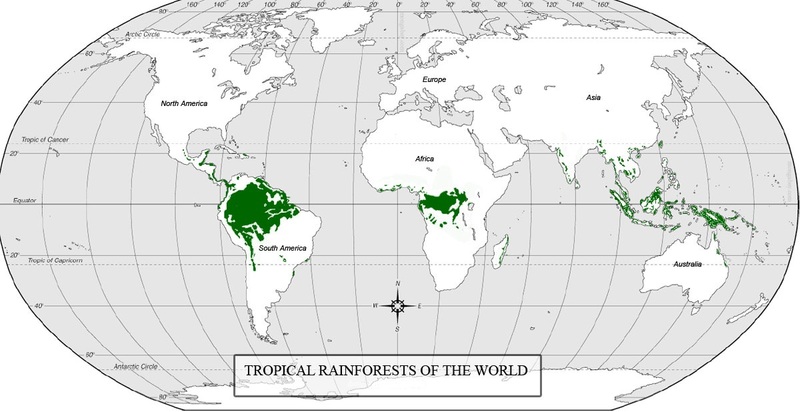 Rainforests can be found in Asia, Australia, Africa, South America, Central America, Mexico and on many of the Pacific, Caribbean, and Indian Ocean islands. Rainforests are divided into different layers, with vegetation organized into a vertical pattern from the top of the soil to the canopy. Each layer is a unique biotic community containing different plants and animals adapted for life in that particular layer. 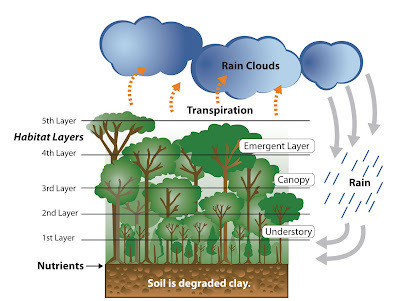 Rainforest ecosystems are characterised by heavy convectional rainfall, high humidity, lushness of vegetation and nutrient-rich but shallow soil. These factors give rise to a unique water and nutrient cycle. The rainforest nutrient cycling is rapid. The hot, damp conditions on the forest floor allow for the rapid decomposition of dead plant material. This provides plentiful nutrients that are easily absorbed by plant roots. However, as these nutrients are in high demand from the rainforest's many fast-growing plants, they do not remain in the soil for long and stay close to the surface of the soil. If vegetation is removed, the soils quickly become infertile and vulnerable to erosion. If the rainforest is cleared for agriculture it will not make very good farmland, as the soil will not be rich in nutrients.